The Ice House winery is the home of Northern Ice, an ultra premium Icewine created in the region. The winery is a small boutique style winery that specializes in Icewones that emerge from the snow covered vineyards of Niagara on the Lake, Niagara’s Wine Region. The head winemaker for the Ice House is Jamie Macfarlane, one of the team members who created the first commercial Icewines in the Niagara Region. 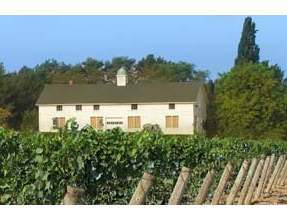 The Icewines from this winery have won numerous awards at the Monde Selection, including the very prestigious Grand Gold. Contact the Ice House directly for more information on guided tours by the winemaker Jamie Macfarlane and Sensory Advisor Karen King.